The AC Hotel by Marriott brand will be built at The District in Jacksonville. It will be the first AC Hotel by Marriott in the greater Jacksonville area. 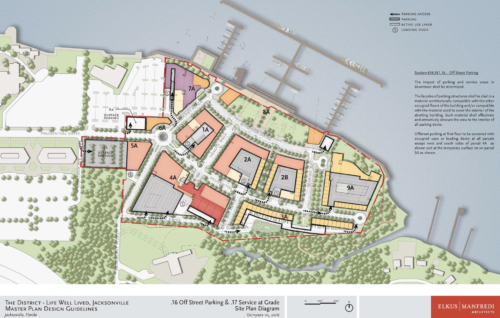 The partners behind The District Jacksonville —Life Well Lived (The District), the 30-acre master-planned development on the St. Johns River, recently announced that Impact Properties, its hotel partner, will develop an AC Hotel by Marriott at The District. The first AC Hotel by Marriott in the greater Jacksonville area, the hotel will be approximately 70,000 square feet with up to 200 guest rooms, and feature a variety of public spaces including a lounge, restaurant, fitness center, retail outlet and work spaces. Impact Properties, a Tampa-based full-service investment, operating and development company, will develop, own and manage the new AC Hotel by Marriott at The District. Impact has been a leading operator of major national franchise brands in the hotel, restaurant, and retail industries for the past 30 years and currently owns 57 locations across the Southeast with an additional 16 locations under development. The hotel, which will occupy site 7A in The District’s master plan, is currently in the design phase. 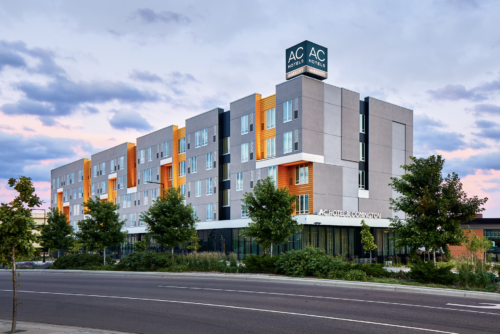 With 100 hotels across Europe and North and South America, AC Hotels by Marriott is designed for modern travelers with an entrepreneurial mindset: they see travel as a way to collect knowledge and inspiration, as they value genuine connections to people, experiences, and ideas that excite them. The new Jacksonville hotel’s location within The District provides guests with an immersive experience in The District’s unique approach to curating a unique lifestyle. It is intentionally designed to offer residents, as well as guests, every element they need to live the healthiest of lives. The District will feature a variety of options for entertainment and shopping, including restaurants and bars, a marina and active riverfront access, a 4-acre public park connected to the expanding Riverwalk, and a grocery store among the up to 280,000 square feet of commercial and retail space. AC Hotels by Marriott combines the beauty of classic, modern design with its European soul and Spanish roots created by renowned hotelier Antonio Catalan. While public areas are designed uniquely to each space, all AC Hotels include the following areas: AC Lounge, the signature food and beverage lounge for guests to enjoy specialty drinks and menu items; AC Kitchen, a European-inspired small-plate breakfast outlet offering fresh products and juices; AC Library, a work and reading area with technology connections; AC Fitness, a 24-hour, state-of-the-art fitness center with personal viewing screens on cardio equipment; and AC Store, a sleek retail outlet allowing guests to purchase snacks and treats. The District is designed for Generation H, a generation defined not by age but by the common belief that the most fulfilling, most productive of lives are achieved by healthy living. This applies to personal habits and the entire live, work, play environment that The District is creating to promote health and happiness. Beyond the bike paths, fitness centers and daily activity, The District will feature the innovative Base Camp to offer a wealth of services, including yoga classes and personal health counseling to community gardening and a health concierge. The terms of the deal between The District and Impact Properties were not disclosed. Horizontal work on the site is expected to start during the first quarter of 2018 and the hotel construction is being planned based on the site work completion schedule, which will be a phased approach starting on the western edge of the site and working its way east.